What a great crew this is! We did some Hamptons family photography in Amagansett, East Hampton NY. For a Long Island family photographer, the Hamptons beaches have to be one of the crown jewels of the area. Sometimes I can’t believe I get to work here. This sweet family, in from Florida, had me laughing the entire shoot. I’m so glad we got to document some fun family vacation memories. As we walked to the beach, I just couldn’t resist taking a few images along the way. Looks like we made it to our destination. The beach was absolutely beautiful. Luckily for me, I ALSO got to photograph their wonderful cousins at this beach that same week. Thank you for referring me to them. Client referrals are the ultimate compliment, and it’s so fun getting to know my clients’ friends and families. We did some posed family portraits at first, and then thing escalated…. No shortage of energy or love here. This crazy pair was so much fun. Handsome, goofy, and polite? Pretty good combo. May I add that I think that a beach photo shoot is one of the best family friendly Hamptons activities? I may be a bit biased, but these East Hampton family photography shoots are such a great way to spend time together. I’m always thinking about what I want the images to look like in the end, and having a fun shoot along the way is a big part of the process. Nothing beats a genuine smile. We all got completely soaked. This definitely wasn’t a “oh, we’ll just take some family portraits and then go out for dinner” type of shoot. It was a salty, sandy, exhilaration-filled evening. We were laughing the whole time. This family is so affectionate and fun-loving, it was wonderful to work with them. Thanks for your enthusiasm and sense of adventure you four! I loved working with you guys as well. I can’t wait for next year! To see more client reviews, please click here. I’m really sad to see summer go, and I’ll be spending more time in NYC. This will free up more opportunities for shoots in NYC, Westchester, and Fairfield CT.
I’m booking into January 2018, so if you want to do a fall shoot, it’s definitely not too early to reserve a time. Contact me here to ask any questions or reserve a time. Check out my 15 Family Photo Session Tips for more info. Daisy Beatty is a portrait photographer based in Manhattan and East Hampton, NY. She specializes in vibrant images of families, newborns, and pregnancy, as well as winning headshots for actors, performers, executives, and dancers. 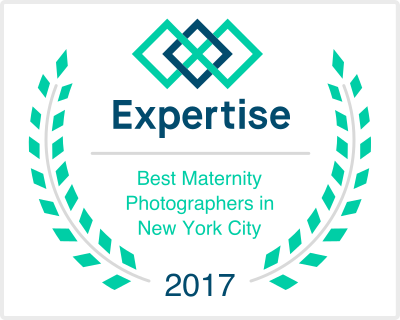 As an NYC and Long Island family photographer, she serves Manhattan and surrounding boroughs, as well as the Hamptons, Westchester, Hoboken, and Fairfield CT. Her award winning work has been featured in both online and print publications. A photography student and enthusiast since childhood, Daisy first worked as a TV development in Los Angeles, and then an attorney in NYC, before becoming a full time photographer in 2014. For more information, please visit her website, her photographer reviews page, or contact her here.